I have reached the quarter century mark with this comic, a mild achievement I suppose, perhaps worth at most 5 points to my gamerscore. Continuing the new couch storyline. 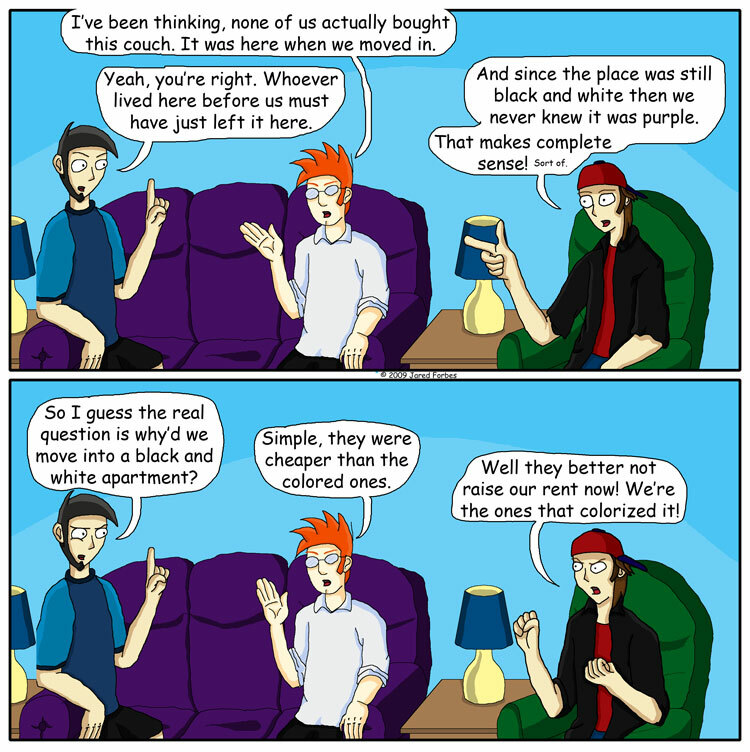 In today's comic, the guys ponder the mysterious origin of the purple couch. Not a game related comic, or really a comedy related comic, in fact this might be the worst thing ever posted on the internet. But bear with me, by the end of the New Couch Arc I will have planted most of my ideas for recurring jokes, introduced new characters and when everything is said and done I promise a new addition to the site.